Please complete all fields so that an accurate quote can be created. A quote will be sent to you as soon as possible. To view the fuel surcharge, visit the Freight Carriers Association of Canada (FCA) and North American Transportation Council (NATC) website, click here. Charges for Accessorial Services requested by the Consignee that are not authorized by the original Bill of Lading, will be the responsiblity of the Debtor named on the original Bill of Lading. Click here for the accepted and restricted list for Dangerous Goods. How Do I Ship Across the Canada-U.S. border? Due to the complexity of customs regulations for different types of goods, we advise all of our customers to consult a customs broker to ensure required paperwork is in order before attempting to ship across the border. As a general rule, you will need both a commercial invoice and a bill of lading for freight crossing the border. The commercial invoice must have the name of the shipper and consignee, a description of the goods being shipped, the location of manufacture of the goods, and the value of the goods. Bill of lading and customs invoice documents are available as downloadable documents on our web site. Why should I choose Harv Wilkening Transport Ltd. for shipping between Canada and the U.S.? Edge Transportation Services Ltd. takes the headaches out of cross-border shipping of commercial goods. We have the experience to avoid border snarls and ensure your freight moves smoothly to its destination. We use the Pre-Arrival Review System (PARS) to ensure all clearance procedures are complete before your shipment reaches the border to prevent long, aggravating delays. What documentation is required for shipping between Canada and the U.S.? Canada Customs Invoice (required at pickup if the shipment is valued at $ 1,600 CDN or more. If the shipper has special document requirements or arrangements with the importer/broker and does not require an invoice, this must be stated on the bill of lading). Do I need a customs broker? A U.S. consignee needs a U.S. broker/freight forwarder depending on where the freight will clear customs.Harv Wilkening Transport Ltd. is not a broker or a freight forwarder, so we cannot provide these services. The Canadian importer or purchaser may use a Canadian customs broker. The shipper should identify the broker or the party acting as broker on the bill of lading. Can the Shipper simply select a forwarding agent and customs broker from a list and provide their names and addresses on the Bill of Lading? The shipper must contact the forwarding agent and/or customs broker to set up an account. The parties need to agree on the services to be provided, the fees, and set up payment or credit terms before shipping. If a customer fails to complete this step, delays will occur at both the Canadian and U.S. borders. When the relationship has been established, all parties must be informed as to which forwarding agent and customs broker are designated to process each shipment. This should be completed prior to pickup of the shipment. How are duty and taxes assessed? Typically, the importer is billed by the broker for duty and taxes. The customs broker determines duty (if applicable) along with taxes and reports the charges to customs on behalf of the client. Is my shipment insured against loss or damage when it is being delivered in the U.S.? For shipments into the U.S. from Canada, Edge Transportation Services Ltd. provides coverage at $2.00 per pound unless additional insurance coverage is requested. Does Kindersley Transport Ltd. handle dangerous goods? 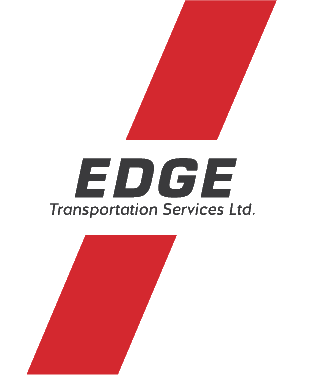 Edge Transportation Services Ltd. partners with a major Canadian Chemical Producers’ Association and participates in its Responsible Care Program. Our field staff has experience in handling all sorts of commodities and is familiar with the rules and procedures for dangerous goods. We also participate in ongoing training and compliance programs. The National Motor Freight Classification (NMFC) tariff defines and rates all types of goods and commodities for motor carriers. There are 18 freight classes rated from 50 to 500. The higher the class rates, the higher the cost for every 100 pounds you ship. Most manufacturers and logistic managers are members of the NMFC and are familiar with its classifications. If you are not sure of the classification of your freight, contact a Harv Wilkening Transport Ltd. representative or the National Motor Freight Traffic Association at 703-838-1810. Where can I get information about my shipments? Edge Transportation Services Ltd. keeps track of freight using global positioning satellite systems and can always provide information about your shipment, including its delivery status and current location. © Edge Transportation Services Ltd. All rights reserved.